iPhone has changed so much of what and how we work and play. MotionX-GPS takes it a bit further with an easy to use handheld GPS on your iPhone. You can use the virtual compass for navigation and the stopwatch to record time, distance, speed and average pace. Email your tracks and waypoints with your photos to share with your friends and family in Google Earth and Google Maps. Use MotionX-GPS while biking, running, hiking, walking, geocaching, in your car or on your boat. It has a stopwatch to time your ride, run, set way points and share with Google maps really great to see what in the next year the iPhone and others companies start to come up with. 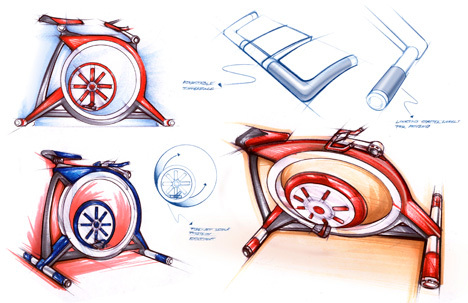 We can only hope that design starts to trickle down to the fitness industry. 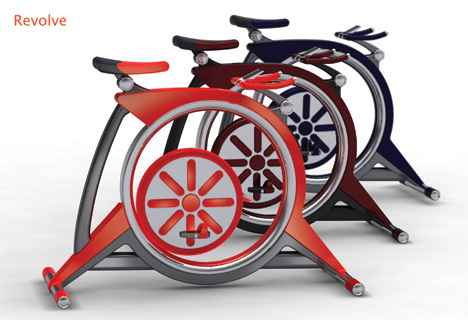 Having Frog Design or Mark Hagen a design student North Carolina State University College of Design, start to take a look at traditional exercise equipment would be a welcome change. Some people like CrossFit and some like more traditional almost surgical approach like Phrog Fitness. Places like Phrog could benifit greatly with a Apple design appeal. However the change is to happen it will and with forward thinkers like Mark Hagen the fitness industry should take notice. In the winter the myth is that you lose 75% of the heat through you head and others studies show the cerebral blood flow is supplied via the carotid and vertebral arteries (4 in total) and is constant. The blood flow to the brain does not change as the demand for oxygen is constant. As a result, when you look at total heat loss, the head accounts for about 7% of the heat lost. Any way that you shake it you lose some heat through your head and if you like wearing a hat and listening to music it seems as though we have another player to the game. The LimbGear® Noggin Net™ is an mp3 enabled skullcap that houses both the mp3 player and the earbuds. The soft, fleece textile is breathable and warm. The idea is not new but the interesting part is incorporating the mp3 player into the skullcap, hence hiding all the wires and the Nano in the cap itself. The downfall is that if you are like millions of iPhone users, putting one in your skullcap could be a bit heavy. All in all it is a great idea, grab an old Shuffle and this is a great gift. Expresso Fitness, A new spin on fitness. Were not talking about coffee but we should be based on the ride that Express is going to put you on. As they put it "eye-popping virtual reality with a classic cardio workout". They really put their minds to it and re-thought some of the basic functions that got in the way on other bikes, like a real head phone jack and walk through design. Expresso talent really lies with in the computer system itself, bringing to life a true VR experience, motivate your members with over 30 Basic-to-Extreme rated interactive Tours – ride from the California Coast to the Peruvian Mountains, play a game while riding and where it really gets interesting, Expresso.net captures your individual workout data, allowing members to track and analyze performance online anytime, anywhere. Leader boards, personal trend reports and community challenges motivate riders to keep working toward their goals. So if I were you demand one of these at your club, standard TV is so 2008. This would be a great fit with Health Currency. When companies push the limit it should make you happy. Rossignol is one of those companies. It seems as though they took a good concept from Swatch, POP Swatch which just had the watch on it, but could be embedded in clothes. So it seems as though Rossignol is trying a similar approach but using high end technology to click in to its jacket. It's not easy to check your watch when you're on the trail wearing gloves, a fleece, and a protective jacket . Rossignol has found the solution: The Gore Tex® stretch CHRONO METEO jacket with the Pure Mountain Station. 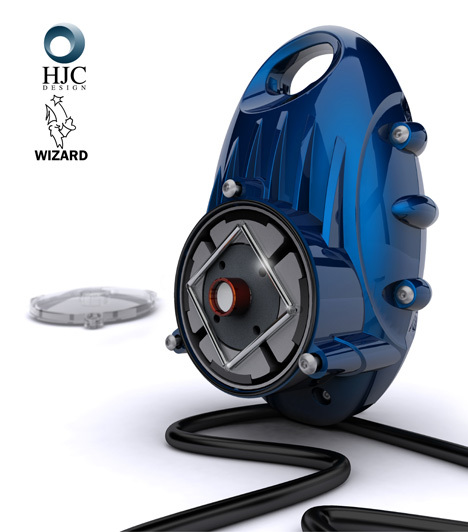 As the watch is always subject to a fall or extreme conditions, it was designed to be shock proof and weather resistant. The intentionally oversized liquid crystal digits and numbers are easy to read at a glance. It includes a number of other practical features: timer, alarm, etc. SwitchBack, small, powerful and keeps you riding. So since the gas prices have drop, Princeton Tech seems to want to keep them that way, introducing the Switchback 1 the smallest most powerful light. With lights like these coming on the market the only thing that will keep you from biking is yourself. Burn time is 10 hours (of course on the lowest setting), that should get you to work and back and if not just charge up while at work. Working through all the setting on a ride will get you 5 hours, not bad. Hey is you are still doing the bike commute, training, riding the trails after 6 pm, this light will keep you out just a little longer and that is only a good thing. Put one of these on your holiday list. Breath freely and without fear of freezing. Designed for a variety of winter outdoor activities where protection from cold is essential. Researched and developed in Northern Rocky Mountain winters and tested in snow and freezing weather, ColdAvenger™ keeps your face warm and dry while helping humidify inhaled air and allowing you to breathe freely. Hey it beat a snorkel and looking funny while skiing or snowboarding. So companies are starting to drive their stakes in the ground and Aetna with HealthVault is a good idea. Having the ability for an insurance company to transfer "YOUR" records so all can view, if you grant the right permissions, is a huge step in the right direction. Now Personal Health Records have been the talk of the town for a while now. most people stay away from them for one reason or another. mostly because they think big brother is watching them, which is not the case. Health records are protect by HIPAA and have a better encryption than shopping on line, we all do that now. Many ears ago most of us would never think about entering our credit card info online or pay bills, have companies linked to our banking accounts but today it is the norm. The same thing is going to happen with PHR/EHR, soon everyone will be on board and going to the doctor and having them connect to "YOUR" records will be that easy. Since they will be "YOUR" records as they should be, going from one doctor to the next will be simple, no more transferring those records and waiting till the doctor receives them and reads them. You can grant permission, take away that right as well. At first PHR can be overwhelming but once you play with the system it is easier than looking at your cell phone bill. Now Microsoft has HealthVault and Google has Google Health, like most Google product the frills are gone leaving you with a clean and simple interface. Neither is better or worse but both could benefit from HealthCurrency, maybe they will call or email and this whole health system will change for the better. So get on board and start to use the PHA, waiting will only be more data entry. Be Safe, Down Low Glow! So you look like a low rider, but the glow lets motorist know you are out and about. Most have a headlight and blinking tail light, which does it job, but Down Low Glow illuminates your whole surroundings. So worry less about not being seen and take back the night. The Down Low Glow comes with a lightweight NiMh rechargeable battery. It weighs 1 pound and is the heaviest component of the DLG system. It is weatherproof and has a high quality coaxial power connector that mates with our DLG chargers, and with the DLG light tubes. It also has a foam strip underneath the outer rubber layer, to prevent road vibrations from dislodging it. The Down Low Glow fits a wide variety of vehicles. Most bicycles, including kids bikes, recumbents, tricycles, fixed gear racing bikes with tight front-wheel clearances, and full-suspension mountain bikes can be fitted up with no problem. The Down Low Glow light tubes are 12.75" long and have approximately 10" of wire connecting them to our power driver box. Between the battery and the power driver box is another 12" of cable. We've been selling the Down Low Glow since 2003, and waterproofing has been the number one challenge, since day one. Each winter we learn a little bit more about what it takes to sell a product ready for bike commuters who will depend on it rain or (moon)shine. So many hats so little time to wear them, the person who benefits the most from hats is a bald man or women. So QuickSilver has come out with a beanie that is micro fleeced lined has built in head phones pockets over the ears and is cable knit. So not only can you listen to music, your iPhone is ready as well. Hey the price is not bad either, $30. Bike Lock Exploding Dye System, just like money packs! So for years banks have had exploding dye pack. You steal the money and the dye packs disguised as money explode leaving you with a nice colorful appearance. 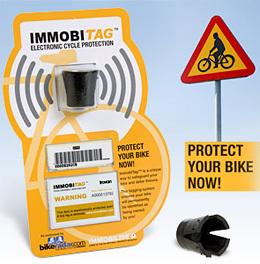 Well now bikes will have that same security, Michael Lambourn has developed the exploding bike lock. This is truly amazing that no one has thought or invented this sooner. This goes in the Brilliant category. Hey if the bike thief does not care about getting inked, surely the people around will take notice. Let's all take our hats off to Mike. Getting a triathlon singlet, tri top, shorts can be a pain, but Champion Systems seems to have it worked out. Prices are great and the products are very good. The Running singlet is only $29 (need to have a 10 piece order), hey with a 6-9 month season you really can't beat the price. If you are a club, team, bike shop, dishing out $290 Jelly Belly's is a good thing. The system is painless, download the credit card PDF, email it back then they open up their ftp server. After you are approved or before you can download all the templates for use in Illustrator, once you have the design down upload and wait 48 hours, once approved the lead time is 4 weeks and express is 2. Easy simple and worth the wait. Their sales department is top notch, polite and honest. At these price you really have nothing to lose. And it just keeps going, this d3o lab is awesome. plain and simple if you are into outdoor sports or go at is rough you need d3o lab. d3o(dee-three-oh) is a specially engineered material made with intelligent molecules. They flow with you as you move but on shock lock together to absorb the impact energy. As you can see there is no shortage of what you could use this for, hey it's rough out there shouldn't you be protected. Now back in late 1998 through 2003 Schwinn had a great Spin bike called the Johny G. Since then the bike world has taken a new look fitness, you have the people that will do the spin classes and you will have the avid triathlete who want a little more. Along came CycleOps, they added things like power, hr data, interactive display with a large, easy-to-read LCD screen, time, cadence, and energy expenditure, stores data files on proprietary USB stick and Power Agent Software for a complete analysis of your workouts, best of all it is Mac and PC compatible, more than you can say about Polar. If you are looking for the best off season trainer look know further the Club Pro 300pt is the real thing. Got to love it when old is new again. Victorinox (aka Swiss Army) the original multipurpose tool has done it again by winning the International Knife Award, Rescue Tool was picked among 77 knives from 34 exhibitors coming from 9 countries. Vicorinox sort of missed the beat in the late 90 with the makers of Leatherman and Gerber making a name for themselves with the multipurpose tool. Now they are great at that and most people that do any sort of outdoors activity has one but look at the older generation and see what they might have laying around bet it is a Swiss Army Knife. What is nice about this Rescue Tool is that it is small can work with your Ski's and Snowboards. The Rescue Tool has been developed by Victorinox in close collaboration with rescue and safety services. It can be operated with gloves and has luminescent handles. Crate opener and one-hand blade can be locked in place through Liner Lock. Exercise while you work and get paid! So exercising while you work, sound great. Well for some this is real, people working from home, call centers and even CEO have joined the trend of theWalkStation. A brisk 1.4 mph can burn up to 500 calories a day and 3-5 miles without breaking a sweat. Sounds great, no more tight muscle, sleepy days or even the need to have that third or forth cup of coffee. Exercise is know to release endorpin's or "runner's high. Hey this is great and instead of installing the play station in the break room get your company on-board to get a Walkstation. Now of course this needs to be taken to the next level and head off any weight issues before they start. This would be great for high schools. many kids are being "classified" as A.D.D., let a kid that has trouble with their attention span be on one of these during class and let's see the results. Really anything that keeps one active whether they are running at lunch, working out or walking around the neighborhood is always a good thing, doing it all day some might classify as nuts others as a health alternative to the "the water cooler". 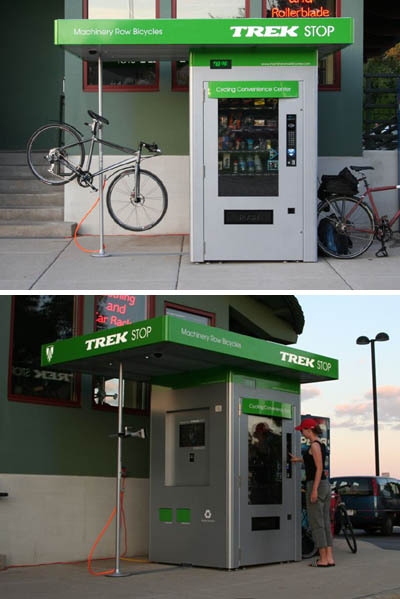 So Trek is making the leap, putting a stake in the ground, chainless for urban bikes might be a great idea. Ridding around the block getting groceries, a couple miles here and there so why the chain. There is a minimal amount of stress on the cranks so a belt is perfect and now with technology going shiftless (Shimano Nexus 8 rear hub), hey this is a great time. Also at $990.00 MSP, you can't lose. Timbuk2 is having a sale. Now the leader and pioneer in messenger bags has got to unload all that unwanted inventory somehow. Well instead of paying the normally high prices they have have savings from 35%, 50% and 65%. So if you have been waiting and since the USAT stopped giving away Timbuk2 with membership this is a great way to get another or even your first messenger bag. Carry your tools, swim gear, sailing, running and even diapers, who cares as long as you have one. When the iPhone has so much traction and a hug following apps like the RunKeeper are a sure win. Sure there are some drawbacks but being a pioneer like RunKeeper you have to accept those drawbacks, wooded areas, tunnels, tall buildings, etc. So the app is simple enough, have a 3G iPhone and for $9.99 you can have a full tracking GPS enabled fitness device. If you are saying well the iPhone cost $299 so the the real price is somewhere in the range of $310, still cheaper than the Polar s625x and the Garmin. Now the Polar is one of the best devices out their so yes their is know comparison, for the weekend warrior that is getting into the sport this is a great way to start. Also with Health Currency getting ready to launch the tie in with RunKeeper is great. Can RunKeeper be used for any other activities besides running? While it was built primarily with running in mind, some of our testing has involved additional activities such as walking, cycling, and even driving. It appears to work fine for these other activities as well, although the majority of our testing has been running-specific. How much will RunKeeper cost? The RunKeeper iPhone application will be a one-time download of $9.99 USD and will be available exclusively through Apple’s online App Store. Will RunKeeper work with an original first generation iPhone? No. RunKeeper needs a GPS signal to determine accurate speed, pace and distance. The RunKeeper application will not work properly on a first generation iPhone. Can I see my route on a map? Yes, you can see all of the routes you run on a map that will be displayed on your personal web dashboard at www.runkeeper.com. You cannot see your route displayed on the RunKeeper iPhone app initially, but we are evaluating including this functionality in future releases. You will be able to see the route through the device’s web browser at www.runkeeper.com. Silver Medal winner, COOL, just plain cool. Safety enhanced "Recco" system that makes it easier to find you in case of an avalanche. Its exclusive goggle-fixing system is placed on the side for maximum efficiency; when not worn over the eyes, the mask is locked in place on top of the helmet. A fabric panel covers the ears and neck to keep the wearer warm and comfy, but is easily removed to be cleaned or if warmer conditions dictate. Well it is happening and keeping all the info into a place is happening Nike+, Nike and Apple seem to really understand the consumers that use their equipment. Not all have Polar watches. So what do to powerhouses do, use their muscles and get the gym equipment manufactures to get involved. 24 Hour Fitness has teamed up and coming in July. I am all for the Wii fit and anything that will get kids and adults off the coach and doing something physical. Making working out fun has seen a rise in the last couple year. Monkey Bar Gym has done a great job of getting ride of the gym equipment and letting you use your surroundings to get a real workout. So when XRtainment surfaced what more can a kid or adult have to say workout and have fun doing it. With Funding from Robert Wood Johnson and some cool interactive workout machines this could be a huge success. Safe, Easy and Local access.